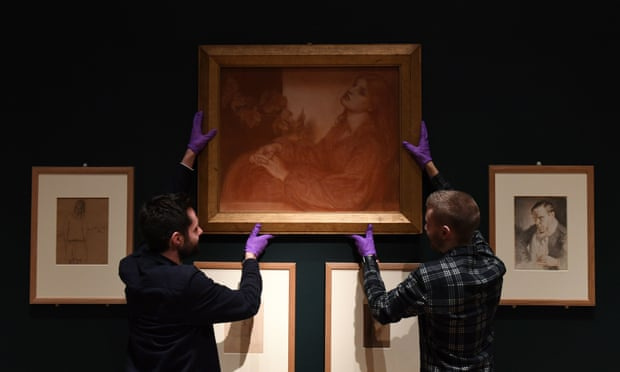 A chalk drawing by 19th century British pre-Raphaelite artist Dante Gabriel Rossetti is to go on display at Cambridge’s Fitzwilliam Museum. A museum spokesman said he could not estimate the current value of the drawing it is about to display, but said it was "priceless to us". The artwork, called Ricorditi Di Me, Che Son La Pia (from Dante’s Purgatorio) was snapped up for £75 after being discovered in Edinburgh. 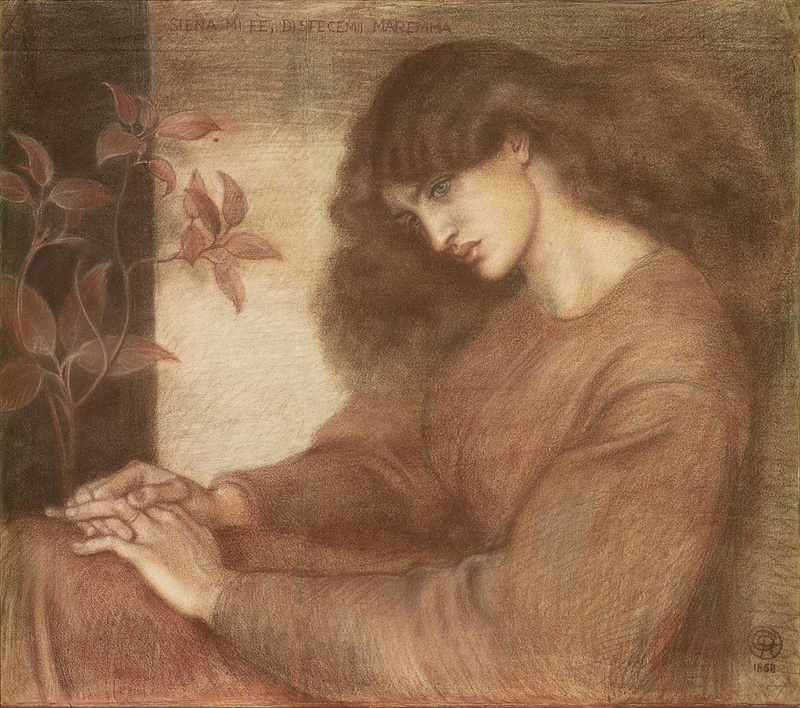 Rossetti produced the preparatory drawing for his oil painting Pia de' Tolomei late in his career, in 1868. The artist depicted one of his favourite models, Alexa Wilding, a dressmaker, whom he first met in the street in London and was captivated by her flowing auburn hair. The subject is inspired by Dante’s Purgatorio. The woman, La Pia, is one of the souls that Dante encounters on his journey through purgatory. Unfortunately for Pia, her husband, Nello d’Inghiramo de Pannocchieschi, ordered her to be executed so that he would be free to marry his mistress at the time, who was the Contessa of Sovana and Pitigliano. In 1881, Rossetti came to complete the final work and used Jane Morris, the wife of textile designer William Morris, as the model this time around. The pre-Raphaelite artist had fallen passionately in love with her. Rossetti wanted the world to believe the fantasy that he was deceiving himself — that Morris kept Jane against her will (he continued this theme in the famous Proserpine). By the way, "Proserpine" was sold for £3,274,500 ($5,275,000) at Sotheby’s auction in London in 2013, setting a new record for the artist. 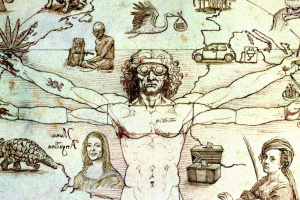 The drawing was found in Robert Aitken’s shop in Edinburgh in 1956 by Sir Ivor Batchelor, professor of psychiatry at Dundee University, and his wife Honor, who spent decades collecting fine and decorative arts. 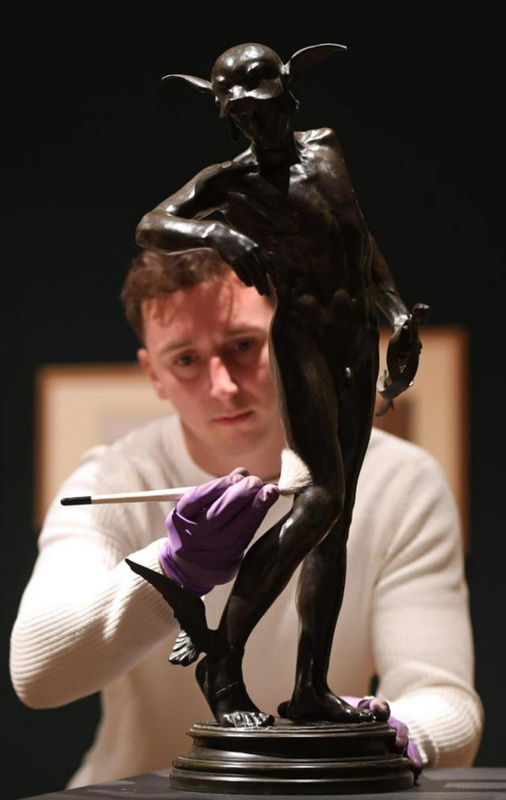 It is part of an exceptional collection from the couple’s bequest, through the Art Fund, which is to go on display at the Fitzwilliam museum, Cambridge. In an essay, Sir Ivor wrote that it was "a red letter day" when he purchased the "very fine and very large drawing". 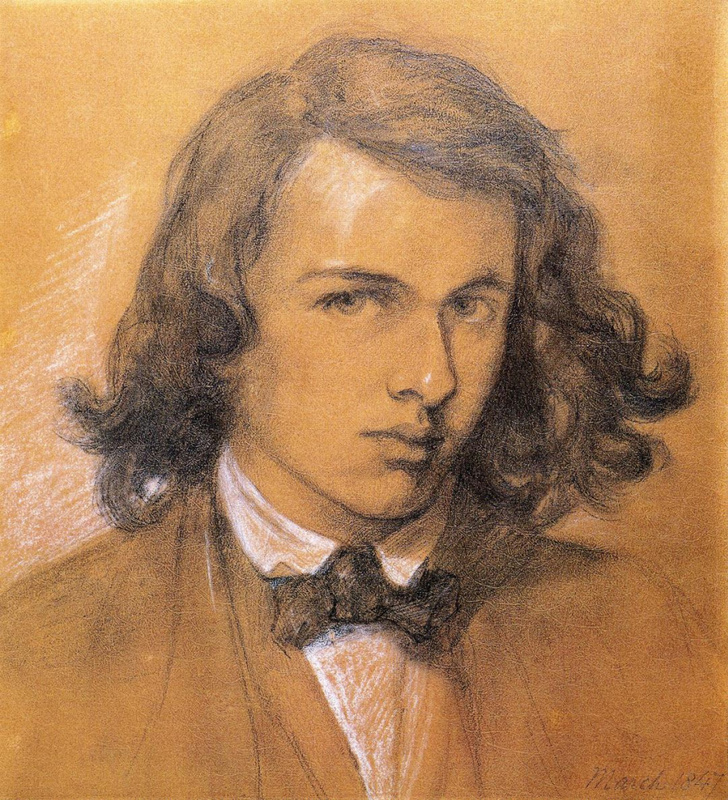 Rossetti was "quite famous for his use of models, he had very obsessive relationships with his models". 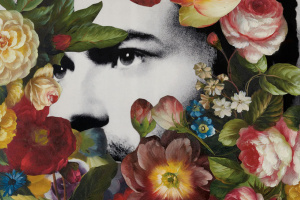 He had an affair with Jane Morris and "absolutely loved her", Ms Ward said, and had been "obsessed" with Wilding’s "bright auburn hair and her beautiful face". 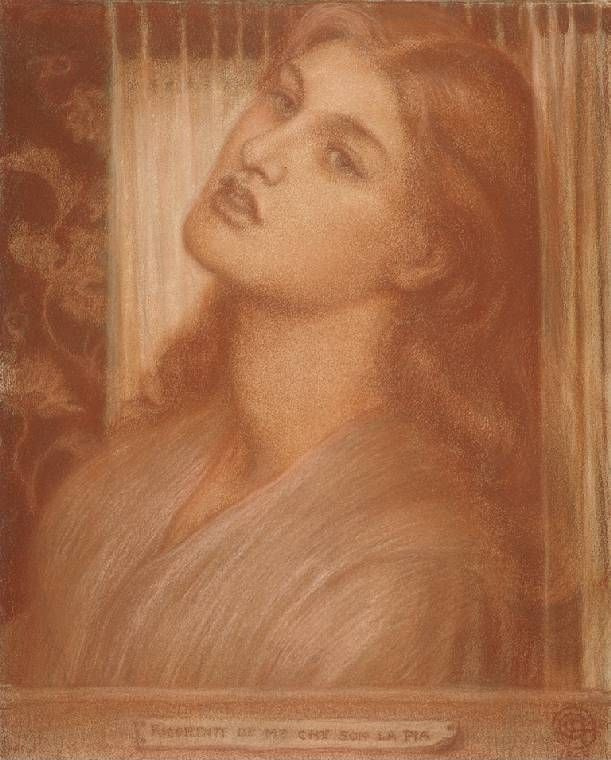 She had, according to a description by Rossetti’s assistant, "a lovely face, beautifully moulded in every feature, full of quiescent, soft mystical repose". Rossetti declared she had the type of face he had been seeking for so long. The drawing shows Wilding sitting with her head tilted slightly back. 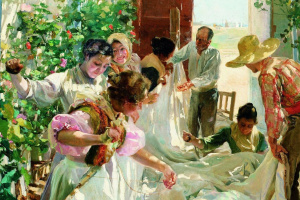 He painted her many times, paying her a retainer to model for him alone, and she posed for some of his finest late works, including The Bower Meadow (1872) and The Blessed Damozel (1875−78). Alex Wilding for “Pie de Tolomei” from the Fitzwilliam Museum collection, 1868.
is kept in a private collection. 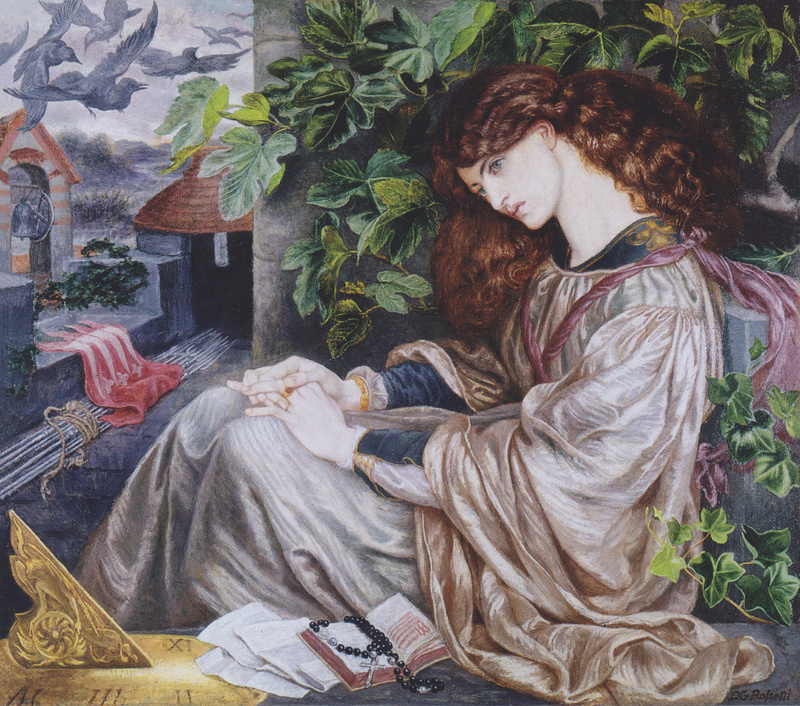 It shows that at that time Rossetti had come close to the final composition for the painting, which would eventually show Jane Morris, with her head hanging forward in a brooding, melancholy pose. 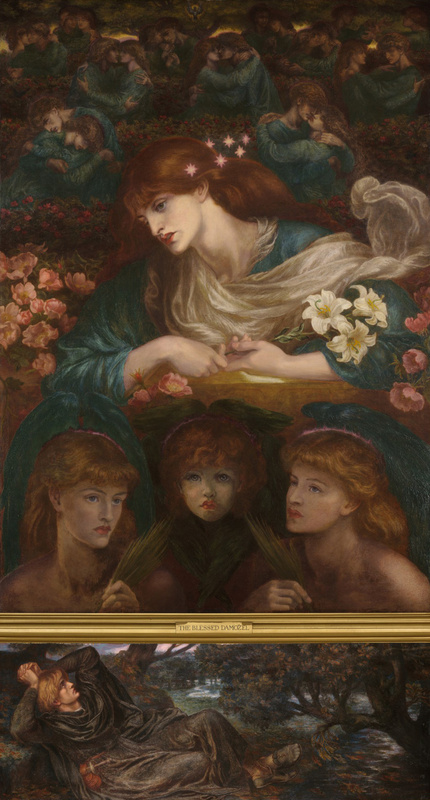 The drawing is still in its original frame and curators working at the Fitzwilliam Museum at the University of Cambridge have discovered a note by Rossetti on the back of the drawing which gives precise instructions for how it should be cared for, with the message reading, "This drawing not being ‘set' it will require the greatest care of the fragile nature of the pastel if ever removed from its frame." As the museum’s Ms. Ward has noted, "It's quite nice that he put that little warning note." 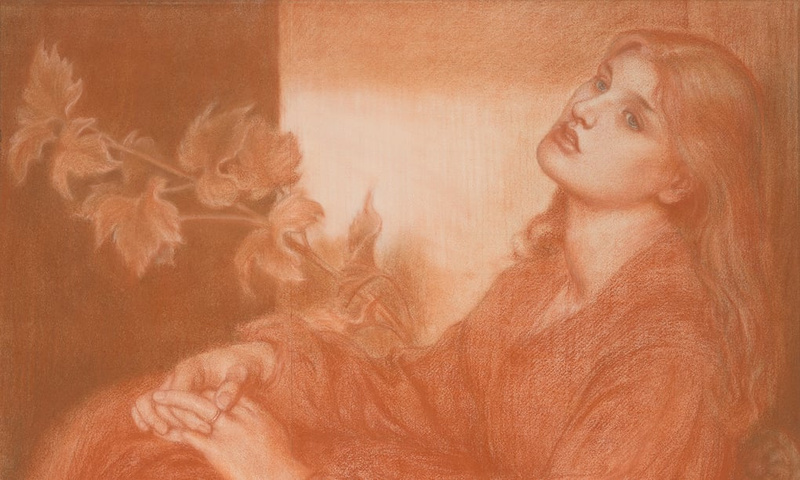 Rossetti drawing will be on display at the Fitzwilliam Museum from December 4, 2018 until March 3, 2018 as a part of an exhibition called "Collecting And Giving: Highlights From The Sir Ivor And Lady Batchelor Bequest." Sir Ivor Batchelor died in 2005 aged 88. Lady Batchelor died in 2014. 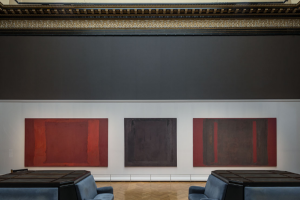 The couple first made contact with the Fitzwilliam Museum in 1990 and generously donated objects from their collection over the following decade. 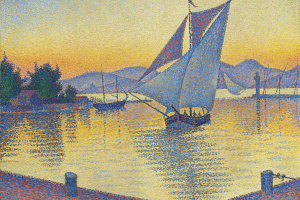 This will be the first time items from the Batchelor bequest are exhibited together. 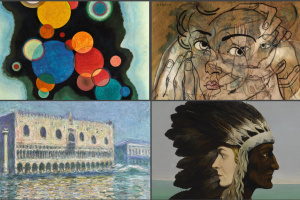 The Fitzwilliam exhibition featured 86 objects from the overall collection of 461 items. Highlights from the collection will be on display for the first time, including drawings by Rossetti, John Ruskin, William Orpen, Walter Sickert and Gwen John, as well as stoneware, glass, bronze and pieces of English pottery. Also in the display is a 26.7in (68cm) bronze statue of Perseus by Sir Alfred Gilbert, who famously sculpted Eros in Piccadilly Circus. 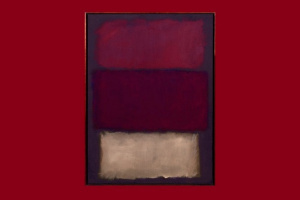 Based on materials from BBC, The Guardian, Fitzwilliam Museum official site. Title illustration: The drawing by Dante Gabriel Rossetti "Pia de' Tolomei", 1868.